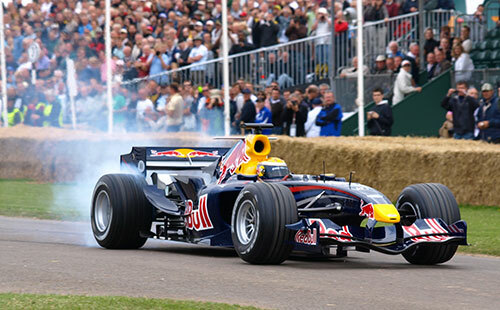 The Goodwood Festival of Speed is a garden party for car lovers held on one of England’s most fabulous estates, that of Charles Gordon-Lennox, Earl of March. Booking early has many advantages. 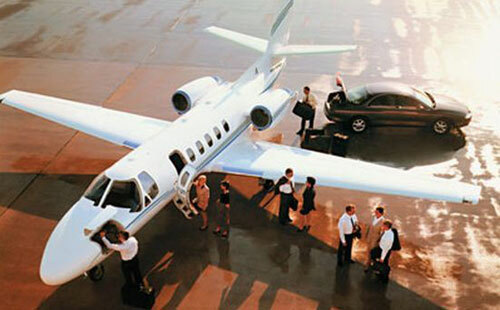 Enter a few details below to start planning your private jet flight to the Goodwood Festival of Speed. It’s hard to believe that a one-mile race up the driveway of an earl would be so exciting – but it is. The Goodwood Estate has been known for racing since the 1940s when cars still raced around its circuit. The track had been dormant for 30 years when, in 1993, Lord March tried to resurrect racing there. Neighbors wouldn’t hear of it so he changed his plans. Instead of using the circuit, he would use his mile-long winding, uphill driveway containing nine turns. The fastest, rarest and most popular cars would race up the hill, spectators watching unabated by gates, fences or barriers. It began as a small event with some classic cars and a modest crowd. Today, attendance has to be capped at 150,000 because so many spectators want to attend to see nearly every automaker’s newest and best cars and equipment. Race-goers can also get up close and personal with the owners of the cars, which include Formula 1 and Moto GP cars and champions, supercars, bikes and heritage cars. Organizers say no other racing event offers such unrestricted access to the cars and their drivers. There is a lot of history behind the 1993 restarting of racing at the Goodwood Estate. The grounds are located in Chichester in South Downs. They are used as grazing land for livestock on the farm when the race isn’t going on. In addition to the 4,000-acre organic farm, the 12,000-acre Goodwood Estate includes: Goodwood Racecourse, two 18-hole golf courses, the Goodwood Aerodrome and Flying School, a 91-room hotel and the headquarters of Rolls Royce Motor Cars. More than 550 people work at Goodwood, which has almost a million visitors a year. Freddie March, the 9th Duke of Richmond, hosted a Hillclimb for the Lancia Car Club in 1936. The resurrected race is run on the same stretch of driveway. Although it is the same as the first race in a lot of ways, it is much bigger and more illustrious. It’s become known worldwide and sells out every year. Spectators can stand on terraces or grass to watch the Hillclimb or buy tickets to grandstands. There are also giant screens showing the race live that are scattered around for viewers to watch. The Moving Motor Show: The world’s largest automakers show off their latest and greatest vehicles. Practice Day: Offers a pre-race chance to watch the drivers familiarize themselves with the twists and turns of the Hillclimb. The paddocks: Enclosures where the priceless cars are parked for an up-close look. Bonhams Summer Sale: Held in the gardens, this is where rare-car auctions are held. There are also galleries and shops for souvenir seekers. The Hillclimb: Watch world champions vie to have the best time up the hill. Air displays: The action is in the air as well as on the ground. Goodwood Park: A variety of musicians play at a spot where spectators can come to relax or enjoy a picnic. The Michelin Supercar Run: Cars from more than 20 manufacturers vie to be the fastest. It’s not always the car you would guess. In 2014, Jann Mardenborough’s Nissan beat (hyperlink https://youtu.be/im9JO_PSGok) the likes of Porsche, Ferrari and Aston Martin and set the fastest speed ever recorded. Sunday Shoot-Out: The fastest cars – modern and historic – race up the hill. The Prize Giving Ceremony: Lord March himself hands out the awards and medals. 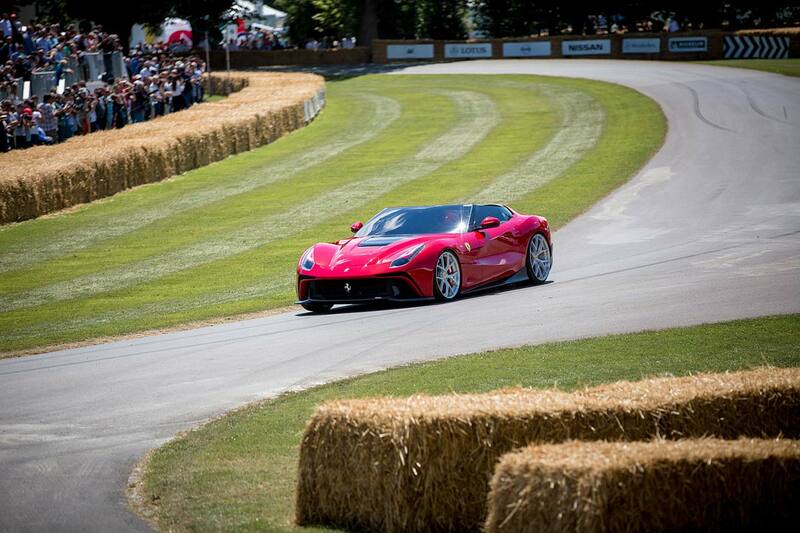 Check out what makes the Goodwood Festival of Speed a one-of-a-kind, can’t-miss car show here.